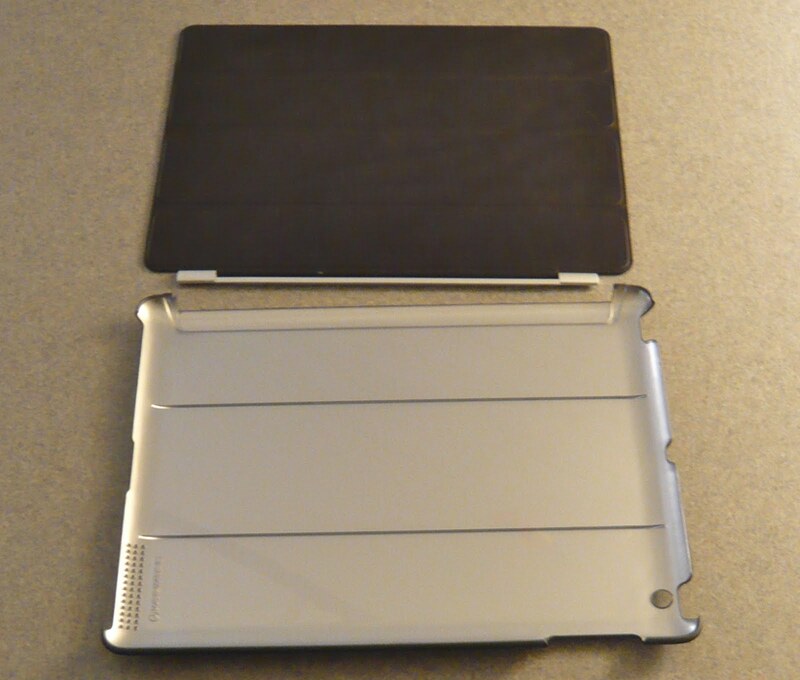 My iPad makes the daily trip to and from the office and so a case is mandatory. 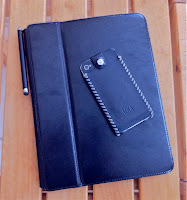 For screen protection and business-like appearance, I prefer folio-style leather cases. 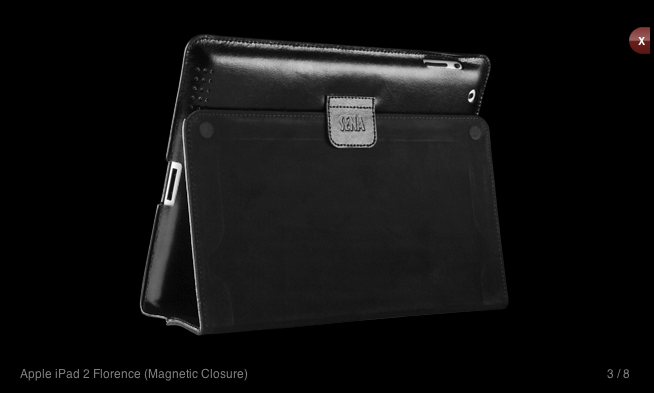 Sena's Florence (Magnetic Closure) folio case $80 is my current iPad 2/3/4 case. 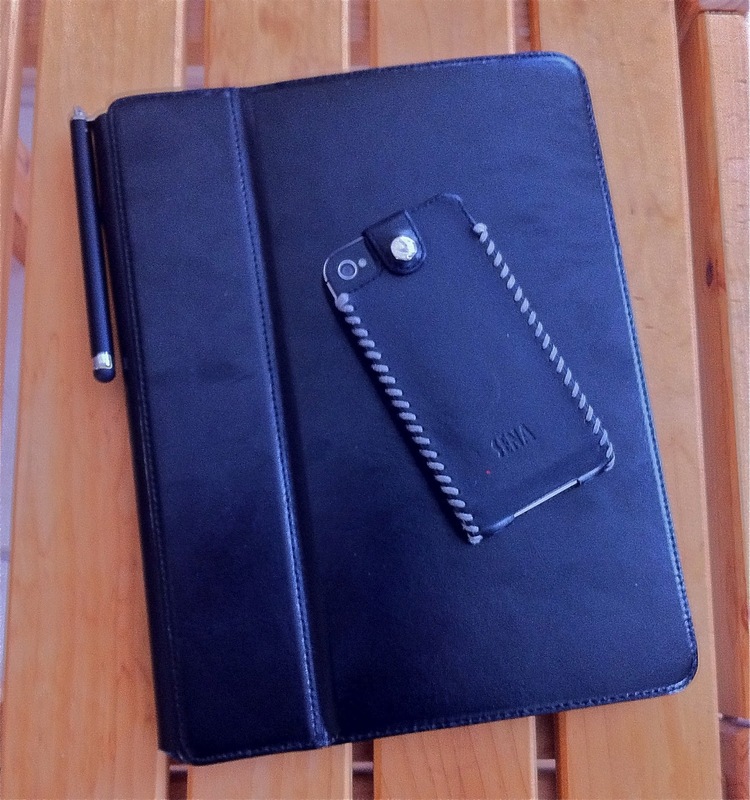 It's pictured at left with my Griffin Stylus $10 securely clipped to the folio spine, & my matching Sena Sarach Leatherskin iPhone case $40. 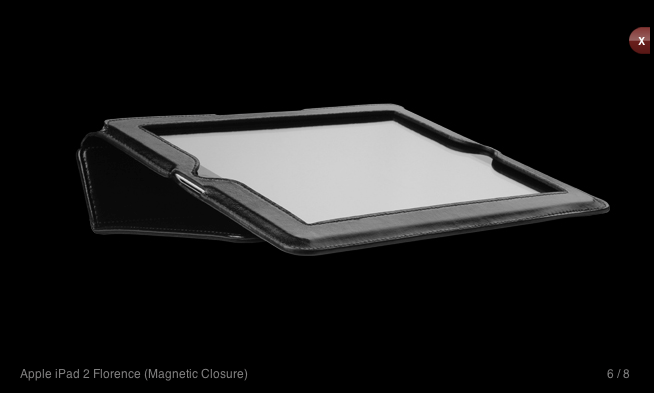 This case is a leather interpretation of Apple's original case for the iPad 1 Apple case, and angles similarly for viewing or typing. 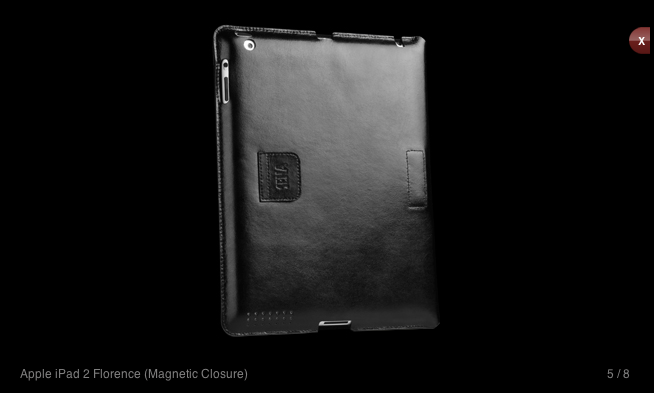 The Sena Florence (Magnetic Closure) folio case works well with the iPad Cover Lock feature—I'm very impressed. 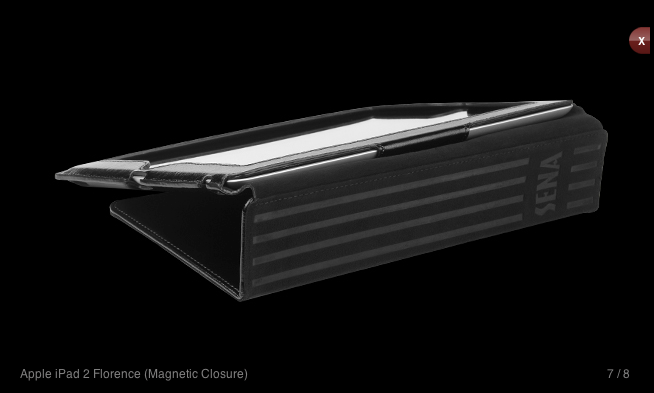 This is actually the 2nd version of the Florence case. 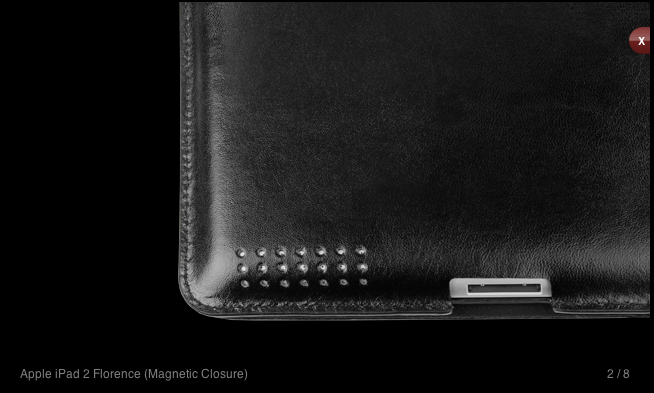 The first version didn't work at all with the magnetic Cover Lock, and featured a funky lower-right hand corner flap to keep the cover shut. 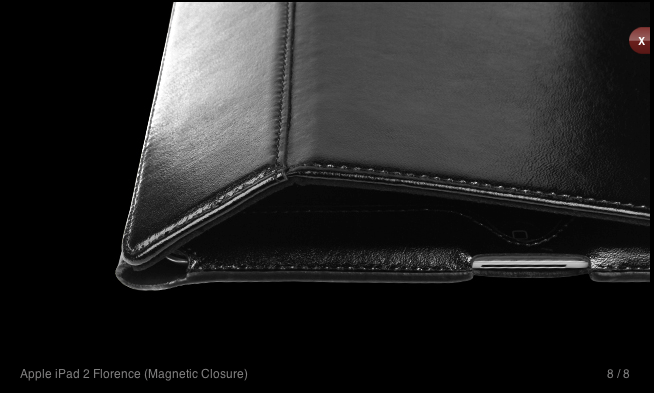 Sena allowed me to upgrade when they released version 2 of the Florence. 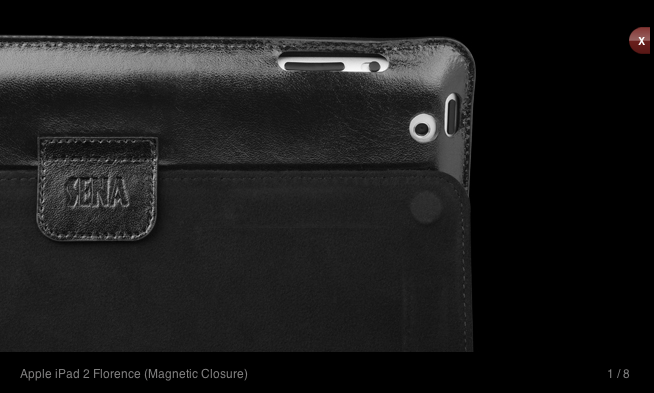 I wish this case were thinner. 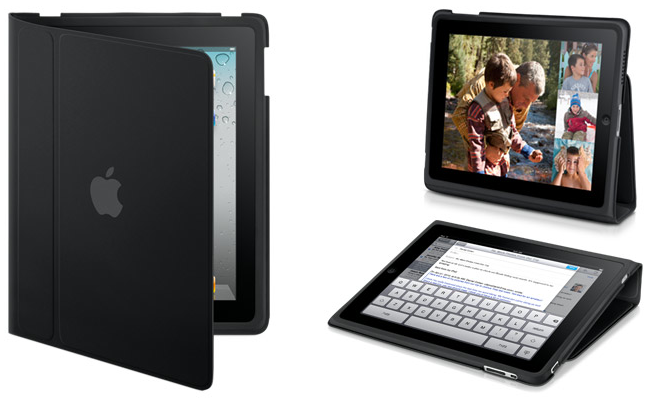 And when holding it with my right hand to read, as with Apple's original iPad 1 case, the case seam does dig into my palm. 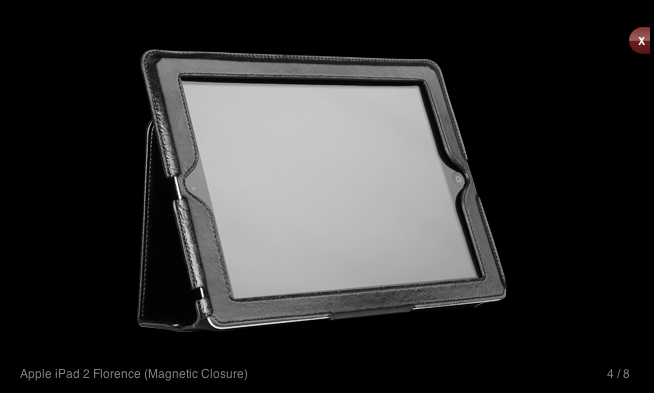 However the Sena Florence (magnetic closure) Folio offers professional appearance & excellent protection, motivating several colleagues to purchase their own after examining mine.